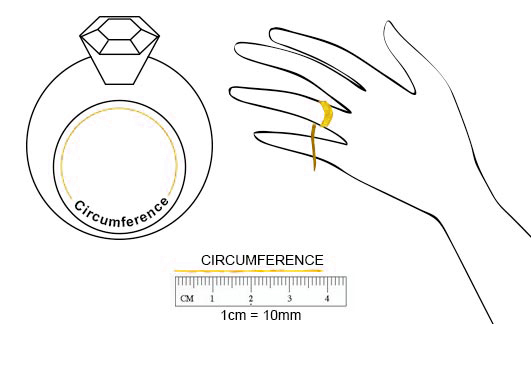 How to Measure Your Ring Size ? The following chart will be helpful for you to get the exact size of your ring. You can either make use of a small piece of sting/paper or a tape to measure the area that will be occupied by the ring. When it becomes a complete circle, make a mark on such string. This will be helpful for you to compare with the chart that is mentioned below. For extra width, you can add another size to accommodate. Take a thin thread or strip of paper. Wrap the thread or paper around your finger. Mark the meeting spot of the thread/paper end. 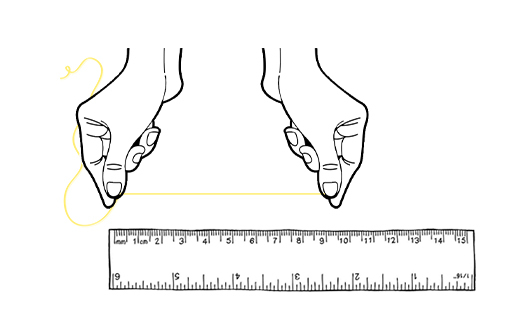 Measure the length of the thread/paper in an scale.